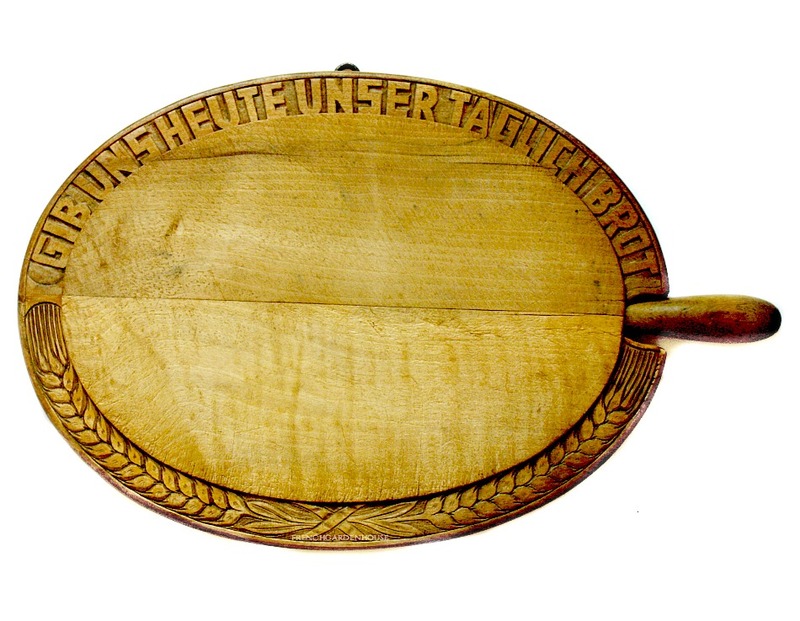 Exceptionally rare to find, this large Antique European Oval Bread Board comes with a knife that fits inside of it. 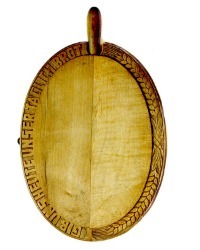 Such a beauty, hand made and carved with the scripture "Give Us Our Daily Bread" in Switzerland. The board is decorated with wheat and ribbon details. Made with great skill and care in the early 1900's. Comes complete with a metal hook should you wish to display it by hanging on a wall in your French Country kitchen, the knife has wear as shown but is quite useful. 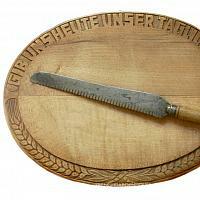 One of the more interesting and decorative bread cutting and serving boards I have found in quite some time! 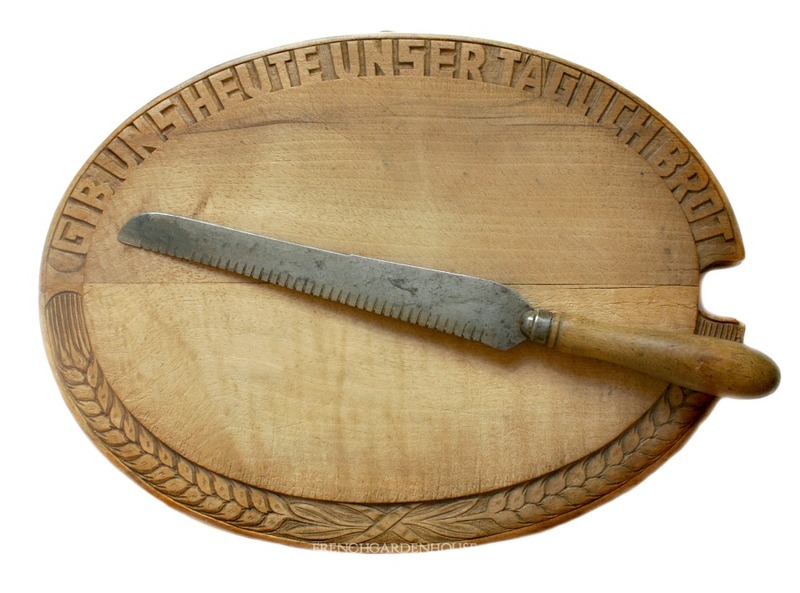 Measures 15" x 11"; knife:13-1/2"l.